I have been practicing yoga since my early 20's, Since then, I have explored many of the various yoga traditions and I draw upon all of these teachings for my own classes, with the ultimate aim to find freedom and ease in both body and mind for the students. I completed my Yoga teacher training in 2012 with Laura Gilmore at Bristol City Yoga. I have also completed a foundation course in Viniyoga of Yoga with Paul Harvey at the Center of yoga studies. I am yoga alliance accredited. I am also a qualified pregnancy yoga teacher. Jessie was born and raised in Los Angeles and was very fortunate to grow up practicing all types and styles of yoga With some of the most inspirational yoga teachers in the world. 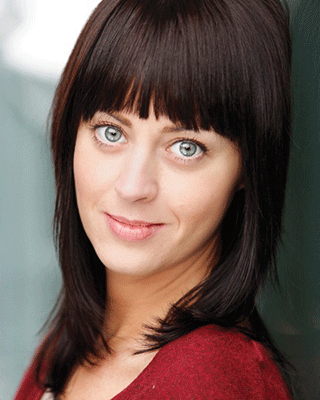 She completed the renowned YogaWorks teacher training in 2006 and moved to Wales the following year. Through her teaching, influenced by many traditions, jessie offers yoga as a way to approach our lives with compassion, strength, grace and gratitude. her classes are an artful blend of fluid Vinyasa with precise alignment cues designed to make you feel present, empowered and radiant in your own body. 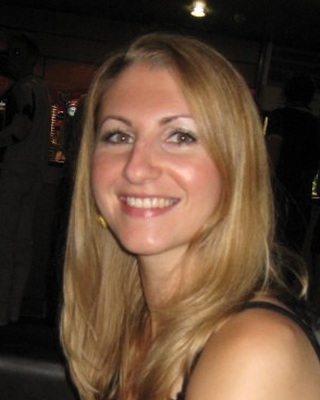 Yoga found Claire in 2004 while training to become a holistic therapist. 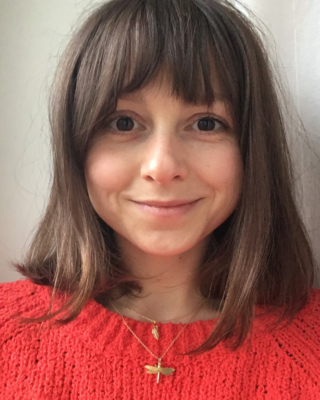 after starting a regular practice with Michele Lambert in Bridgend, Claire quickly noticed the many positive benefits - physically, mentally and spiritually. It not only made her feel more flexible and strong it made her feel more energised, positive and clamer and inspired her to complete a teacher training course at yoga Bodhi in Bath in 2013. 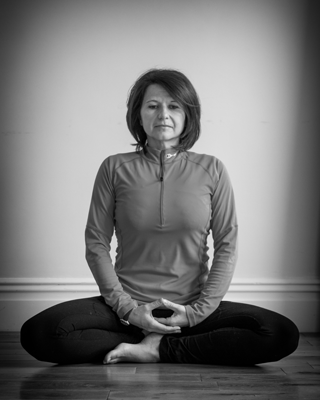 Claire's classes are a mixture of some flowing sequences, some longer held restorative asanas, pranayama and meditation with yoga philosophy weaved through. Yoga, with its balance of physical and spiritual practice, encompasses all the components of the holistic discipline I was seeking in other disconnected practices. In a relatively short time, yoga became—and still is—my passion. I began my personal yoga journey in 2009 with the practice of hatha yoga and since then keep exploring; experimenting in different styles - Ashtanga, Iyengar, Hatha, Vinyasa Flow. Presently my facilitation and teaching focus primarily on the practices of Asthanga, Hatha and Vinyasa Flow. Having been an active person I both appreciate and enjoy the benefit of the yoga every day. I completed my TTC at Level 4 in 2015 with BWY. I also completed an 1 month intensive course in Himalayan Iyengar Yoga Centre, in India. For me, Yoga is a life long experiential journey, both in and out of the classroom. As a teacher, facilitator and student of this spiritual practice I aspire to "Lead those behind lovingly & follow those ahead graciously. "I look forward to sharing in this wonderful practice with you. Ellie discovered yoga more than five years ago and instantly fell in love with the practice. Yoga helped her to deal with the challenges of a demanding degree course and has since become an intricate part of her life. She believes that yoga helps to re establish the connection between body and mind, and that everyone can benefit from the practice of yoga. Ellie completed her yoga teacher training in Goa, India in 2015. Her classes are a dynamic sequence of physical postures linking movement with breath that are thoughtfully sequenced and allow students to build strength, flexibility, coordination and vitality. I initially started practicing yoga in 2010 to improve my running performance but it didn’t take long for me to fall in love with not only the physical, but also the mental, benefits of yoga. I wanted to share my passion so I achieved my TTC in Goa in January 2018. I feel my mission is to encourage as many different people as possible to try practicing yoga and I strongly believe it is for everyone. I teach a dynamic, creative class which focuses on the breath and tuning in to your own body. The aim of my class is to increase range of motion whilst also building physical and mental strength and I hope for my students to feel invigorated and energised, in both body and mind, at the end of each session. 2 years of Hatha Yoga training under yogacharini Kalavathi Devi of Om Yoga ( in conjunction with the Ananda ashram in Pondicherry). 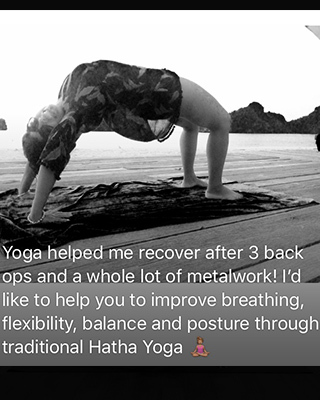 Yoga helped me recover from 3 back ops and a whole lot of metalwork! I'd like to help you to improve breathing, flexibility, balance and posture through traditional Hatha Yoga! I began practicing Yoga about 5 years ago and from my first class it became my passion and grew from there into a way of life. Every day I learn more about Yoga I realise how much there is to learn and how powerful the practice can be. 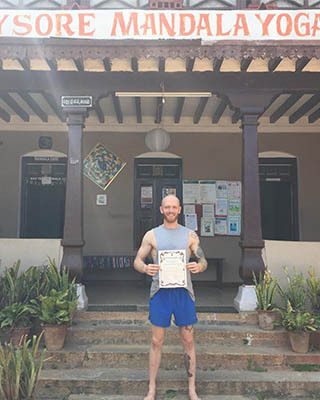 I completed my teacher training in the Ashtanga tradition in Mysore, India in January 2018. My classes aim to build a strong foundation on which the practitioner can improve upon. Cultivating more movement of the body and more stillness of the mind.